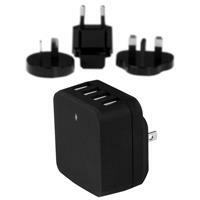 Plus, its compact design makes the charger the perfect mobile accessory for storing in your carry-on luggage. The portable USB wall charger features a folding North American plug that tucks away nicely to fit inside your laptop bag or other carrying case. 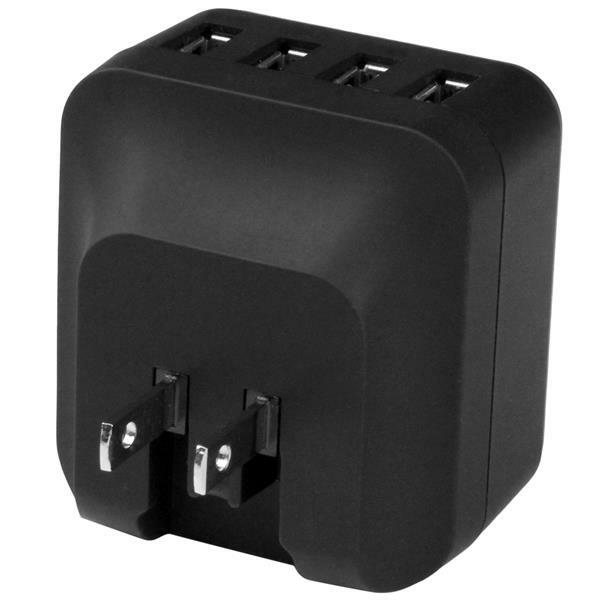 And, you can easily throw in the correct international plug for wherever you’re going, so that you’re all set to charge your device when you arrive at your destination. Keep the charger at your desk and use it as a dedicated charging station for your mobile devices at home or in the office. 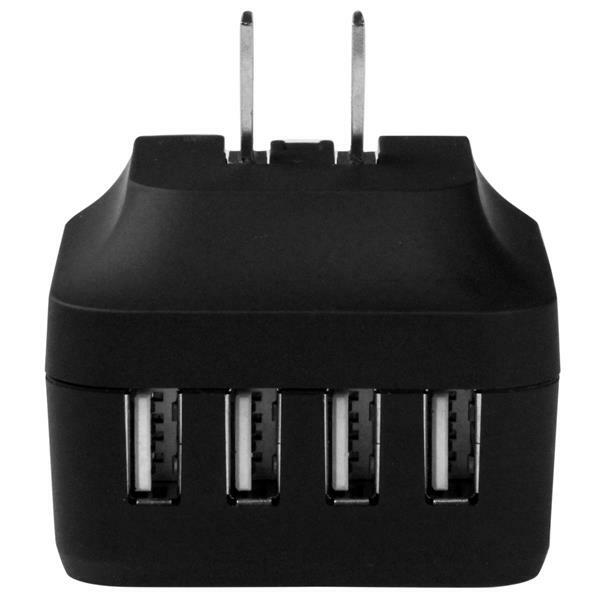 Consolidating your USB devices onto a single multi-port USB charger offers a more efficient solution and saves space because you don’t need to use multiple wall outlets or power bars. The USB4PACBK is backed by our 2-year warranty to ensure dependable performance. Note: Some mobile devices, such as certain Samsung and BlackBerry® devices, use proprietary power connections which are not compatible with aftermarket chargers. 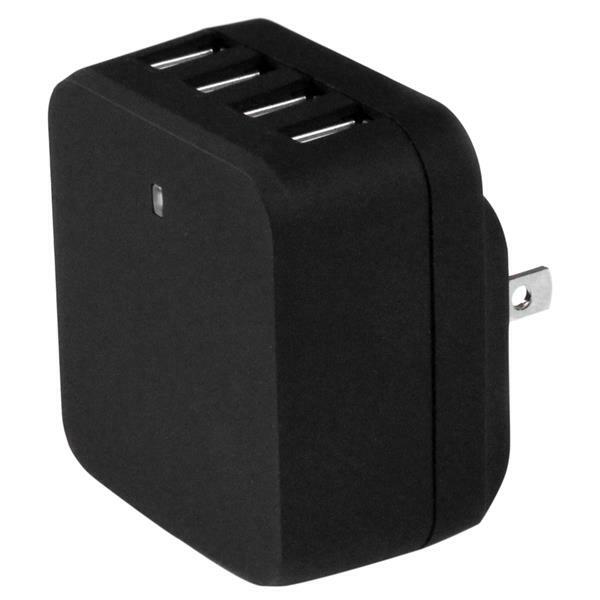 Please consult the manufacturer's documentation to ensure compatibility with the USB4PACBK.